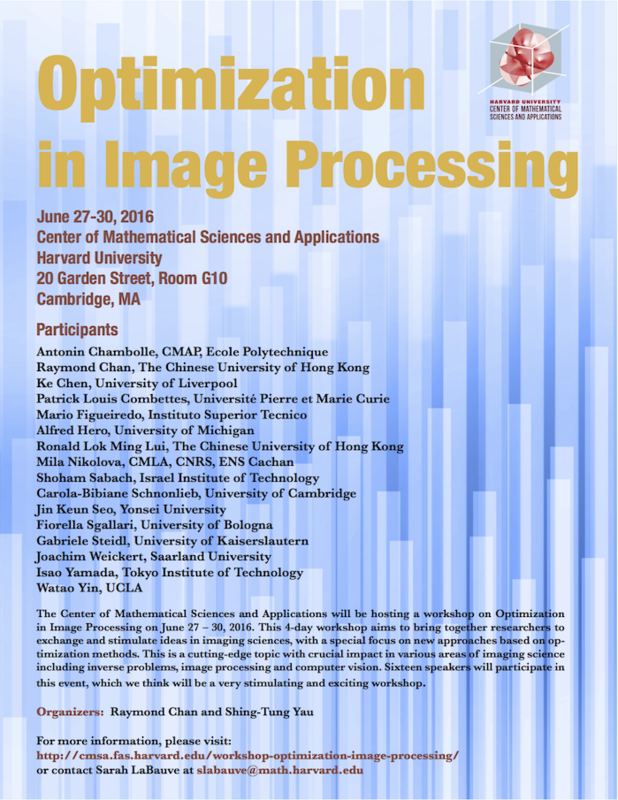 The Center of Mathematical Sciences and Applications will be hosting a workshop on Optimization in Image Processing on June 27 – 30, 2016. 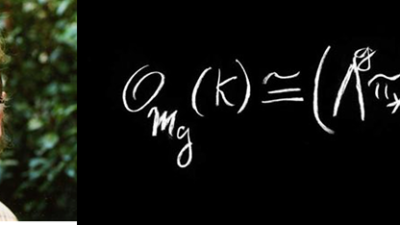 This 4-day workshop aims to bring together researchers to exchange and stimulate ideas in imaging sciences, with a special focus on new approaches based on optimization methods. 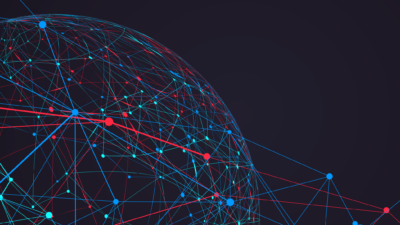 This is a cutting-edge topic with crucial impact in various areas of imaging science including inverse problems, image processing and computer vision. 16 speakers will participate in this event, which we think will be a very stimulating and exciting workshop. The workshop will be hosted in Room G10 of the CMSA Building located at 20 Garden Street, Cambridge, MA 02138. Please click Workshop Program for a downloadable schedule with talk abstracts. Please note that lunch will not be provided during the conference, but a map of Harvard Square with a list of local restaurants can be found by clicking Map & Resturants. Please click here for registration – Registration Deadline: June 7, 2016; Registration is capped at 70 participants.